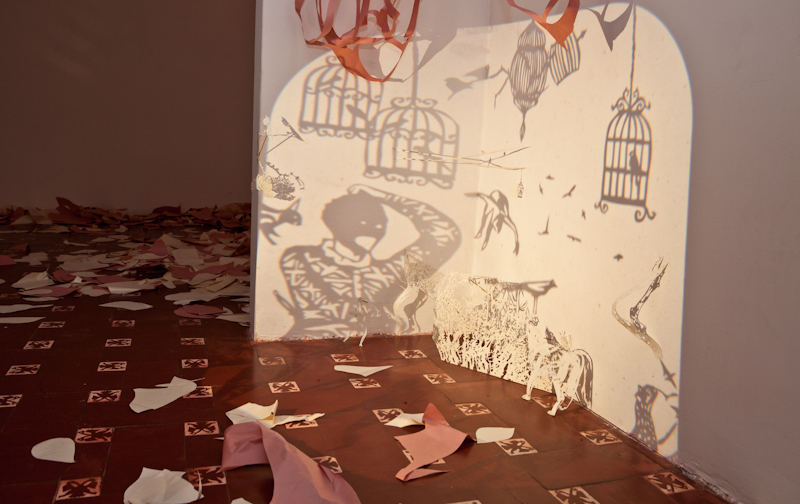 Escenas para evitar las pesadillas (Scenes to avoid nightmares) are a serie of installations that invade the space with paper, projections and some sculptures. 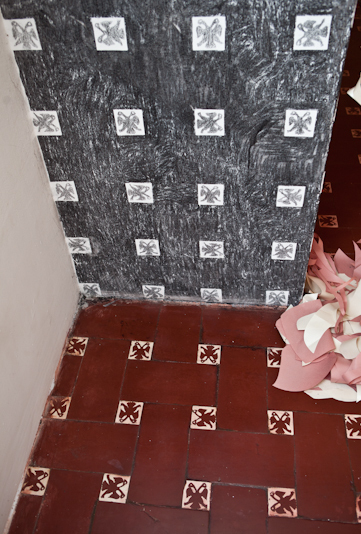 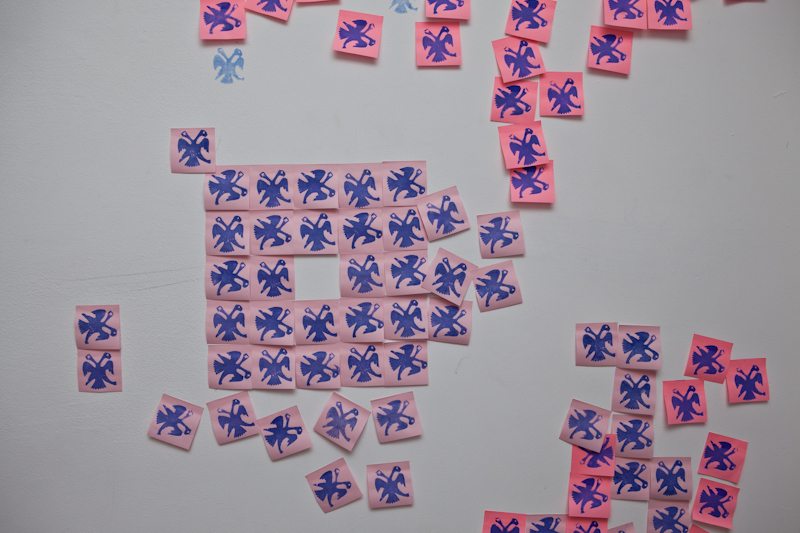 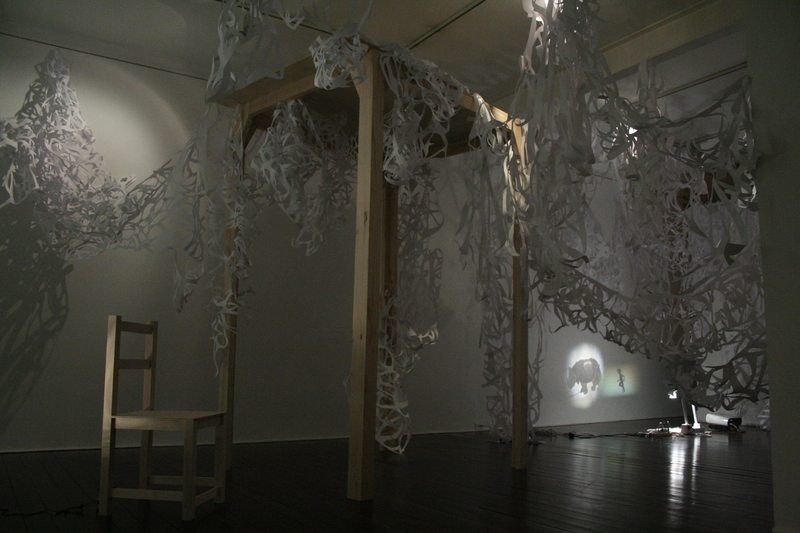 Each installation is a different in-situ project. 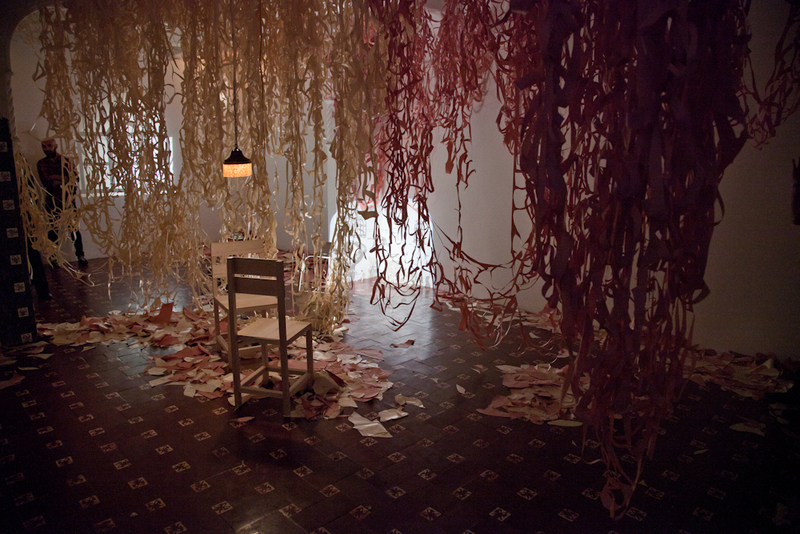 Materials: 300 meters of paper-cuts magenta and beige, 2 wood chairs moving with a basic engine, projections with 2 overhead projectors and paper-cuts, drawings in the walls with charcoal, seal made with potato and pencil, dioramas of handmade paper on wood boxes and a special lighting. 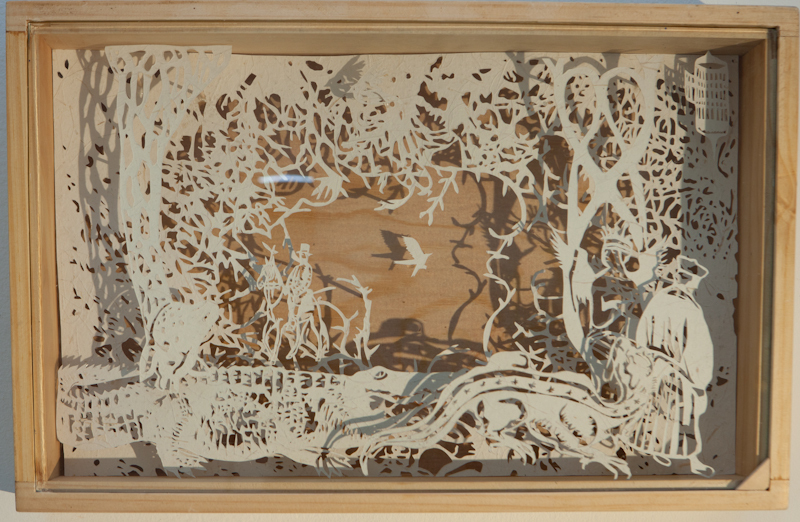 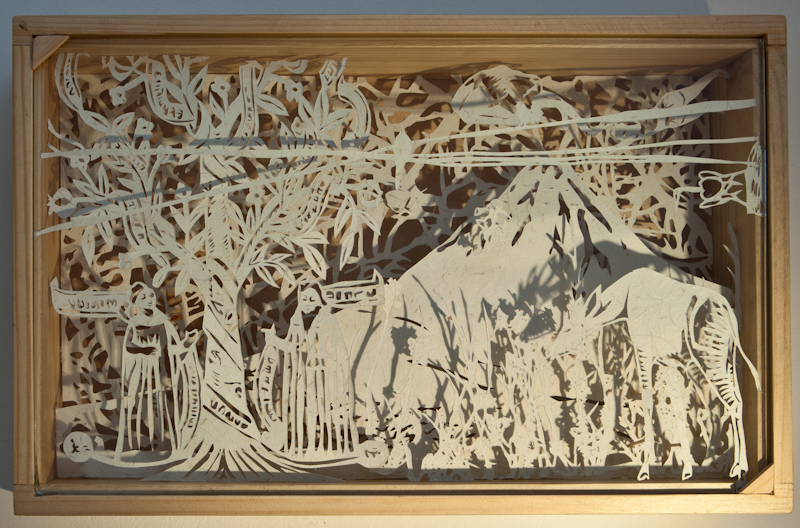 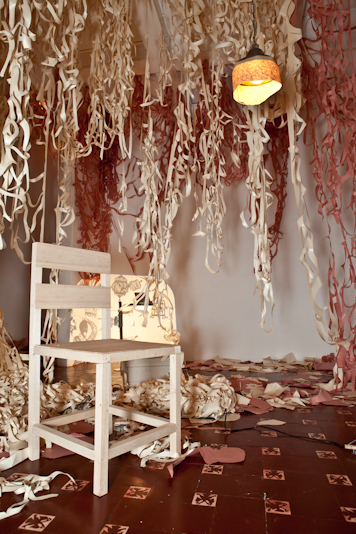 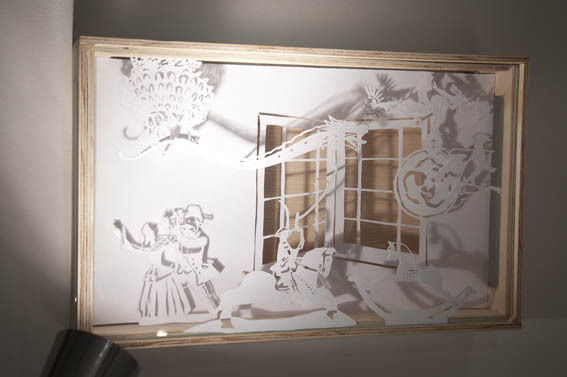 Materials: 200 meters of paper-cuts, a wood chair moving with a basic engine, a 3-meter wood table, 4 overhead projectors, 3 drawings over glass, 1 videobeam, 1 dvd, a digital animation, a drawing of a rhino made with acetate layers moving with 3 basic engines and a special lighting. 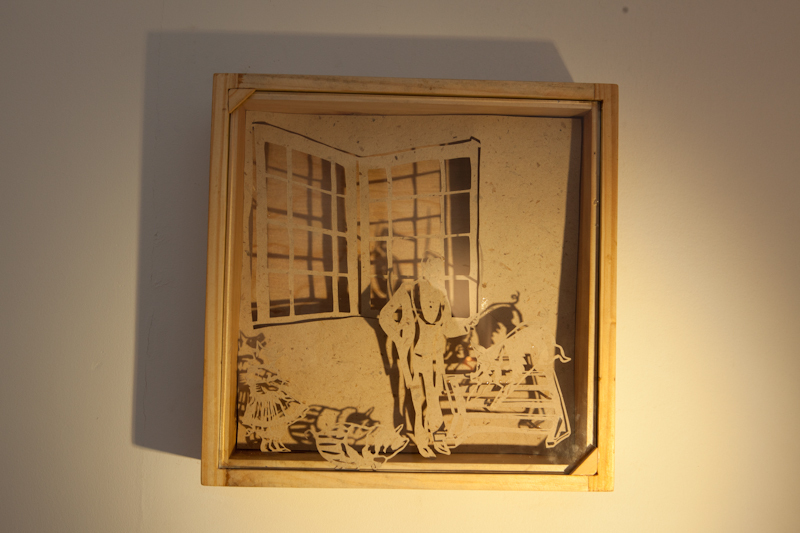 This piece has two components, the rhino and the boy. 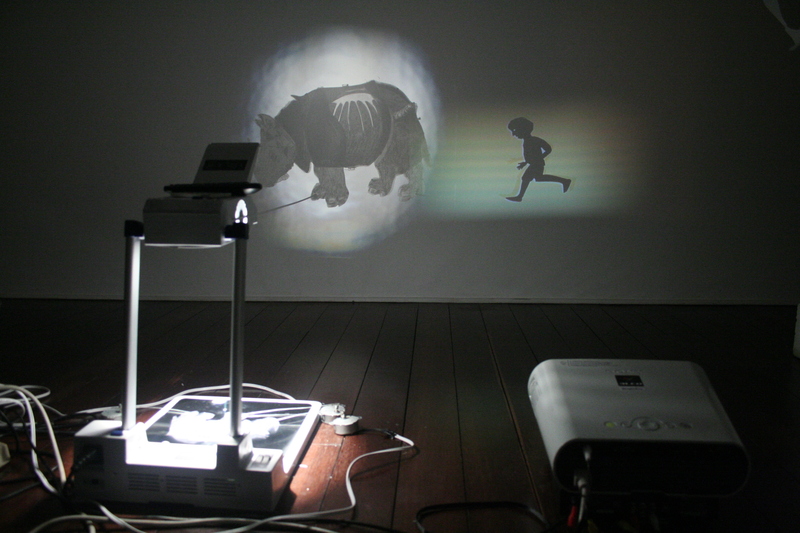 The rhino is an analogue animation projected with a special overhead projector, it is a drawing made with acetate layers that moves its legs and head with 3 basic engines. 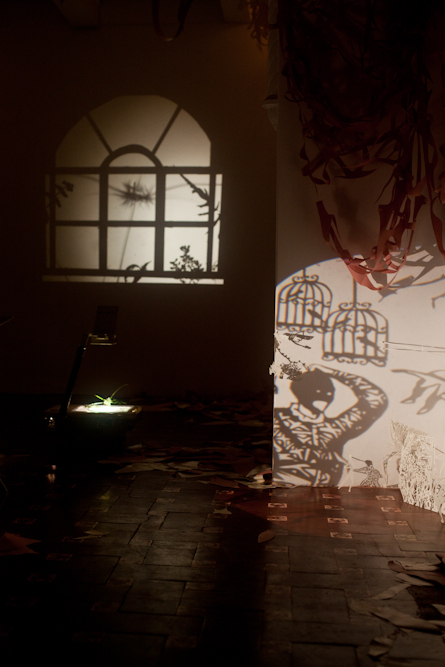 The boy is a digital animation projected with a videobeam. 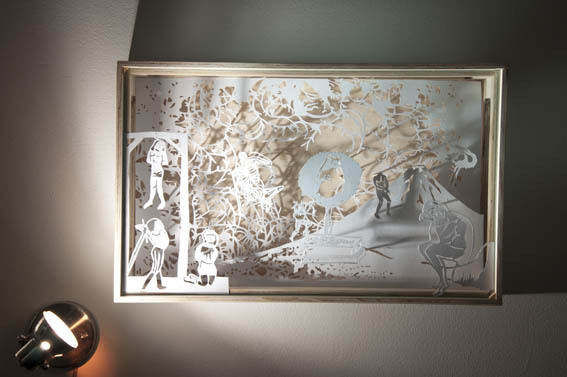 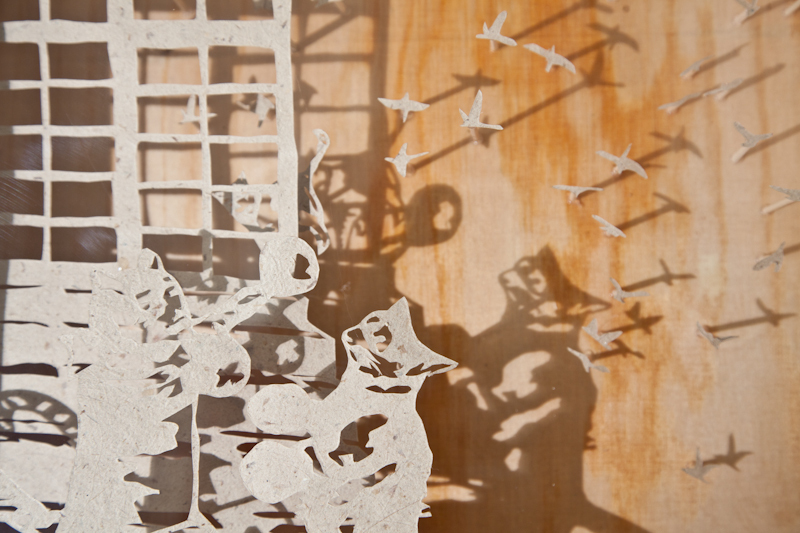 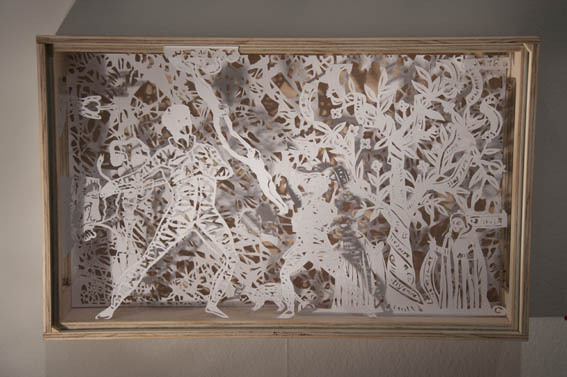 Annexed to the project, there is a series of portable scenes made up in the traditional manual technique of the cutouts, where a selection of irrational scenarios is proposed from the research of symbolic and archetypal images of classic mythology, the Middle Age and the Renaissance.